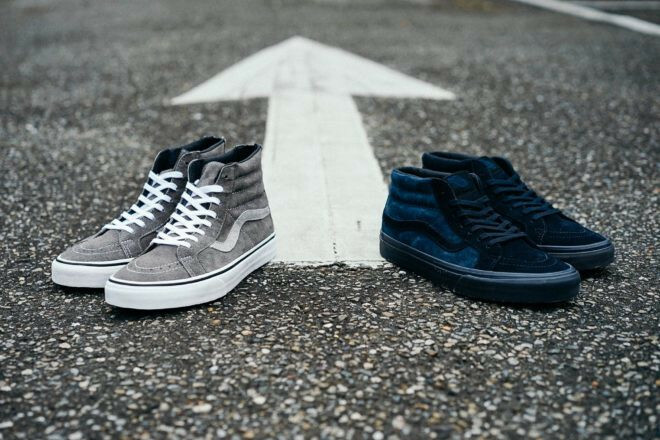 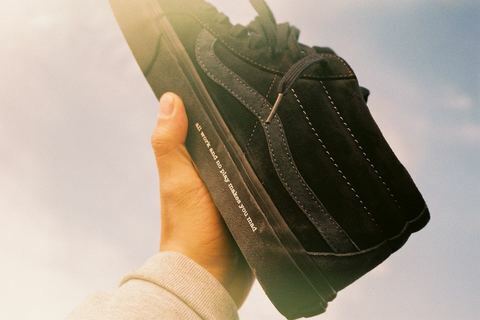 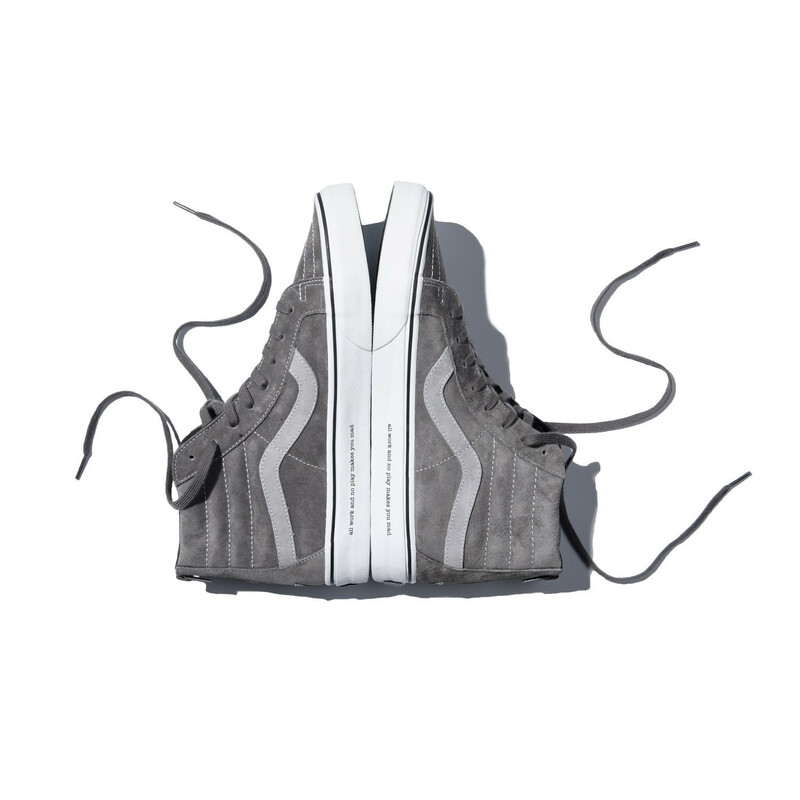 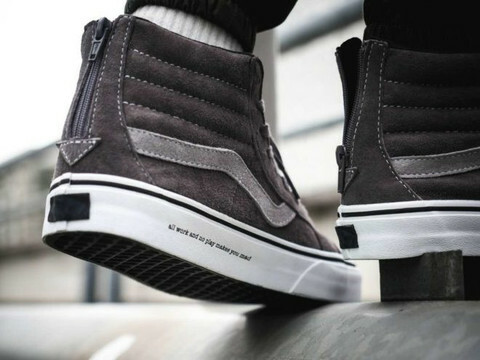 SK8-Hi key elements include grey and blue tones in full suede upper, creating a low profile two-tone effect. 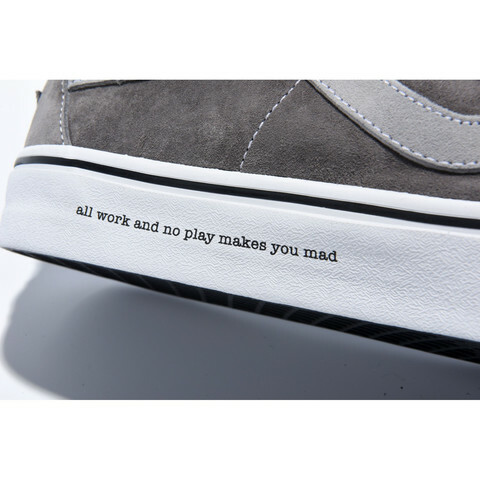 The outsole features “all work and no play makes you mad”. 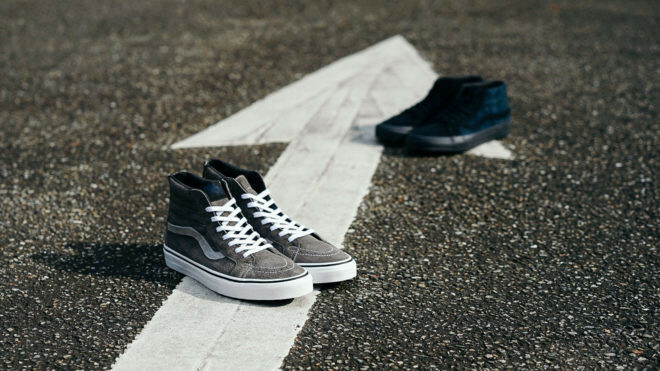 SK8-Hi features an additional zipper in the rear for easy access.